The best way to live is to live humbly, being who you are and enjoying who you are! I read a story in today’s Hindu, on someone we knew closely, Parimala Srinivasan, who had passed away, at 81, earlier this week. Chennai historian and columnist V.Sriram has penned the beautiful tribute to Parimala, who he calls “an ardent aficionado” of Carnatic Music. 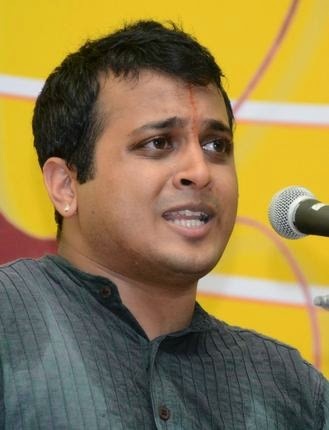 While my wife and I have known Parimala for 20 years now, Sriram’s piece surprised us – we discovered so many unique aspects about her Life that we ended up wondering if we at all knew the “real” Parimala. To us Parimala was the simple, doting mother and grandmother with the ever-benign smile. She was the epitome of warmth, compassion and enthusiasm. The only line in Sriram’s piece I could relate to instantaneously, for instance, is this: “To her, Life was an extraordinary celebration.” Until I read Sriram’s piece this morning, I didn’t know that Parimala was taught music by the legendary Ariyakudi Ramanuja Iyengar; I didn’t know that the other maestro of Carnatic music G.N.Balasubramaniam was her mentor and guide; I didn’t know that ace violinist T.N.Krishnan was more than just a musician-friend – he called himself her family member; I did not know that she held a record for attending concerts as a rasikafor over 58 years at the Music Academy during the annual Madras Marghazi season; and I didn’t know that she ran an all-women sabha called Raga Tharangini for over 40 years. How would I know all this about Parimala unless she told us any of this? The truth is, she never spoke about herself. She was always in awe and admiration of people, Life and events around her. And so this is my key takeaway from this wonderful lady’s Life – stay humble and simply enjoy who you are! I come from a family where bragging over hollow achievements is a favorite pastime. In fact my awakening to remain modest was spurred my utter distaste for some of family members’ tendency to insensitively blow their own trumpets. 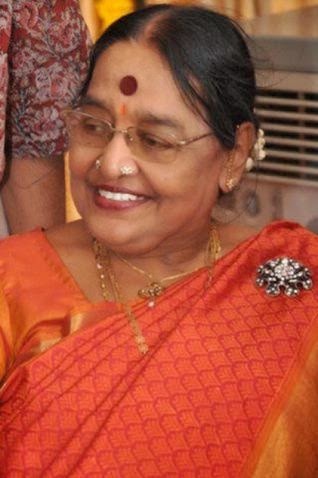 So, when I discover now that the lady we were so close to, was not just a doyen among Carnatic music rasikas, but was a celebrity in her own right, I feel so blessed. I remember the day, two Decembers ago, when I delivered my “Fall Like A Rose Petal” Talk (based, like my Book of the same name, on the lessons that my wife and I learned from a Life-changing experience – a bankruptcy!) Parimala was in the audience that evening. When I finished my Talk, she called out to me and my wife. She held our hands and said, “The greatest joy in Life is to be able to live and face it together. You both are blessed to have each other. You will overcome your problems and come out of this crisis soon.” She had tears of love in her eyes as she touched our heads in a blessing. To stay humble is an art. Because even if you want to stay humble, your mind will push you to believe that you are causing all your achievements. Only a truly evolved person can, craftily, dismiss the mind’s seemingly well-reasoned claims and simply be. Simply being means to continuously look at Life with amazement and wonder. It means to know that whatever good is happening to you, whoever is praising you, whoever is flocking to you – everything and everyone is transient. (To be sure, the opposite is also true – and is transient again.) Simply being means choosing to be unmoved by Life’s colors and flavors. Parimala, to me, personified humility – a trait that all of us can aspire for, and someday soon, with inspiration and blessings from her, possess.